Most important and useful component in mobile application is List. In this tutorial you will learn how to create Sencha Touch List view with Spring MVC 3 in backend. 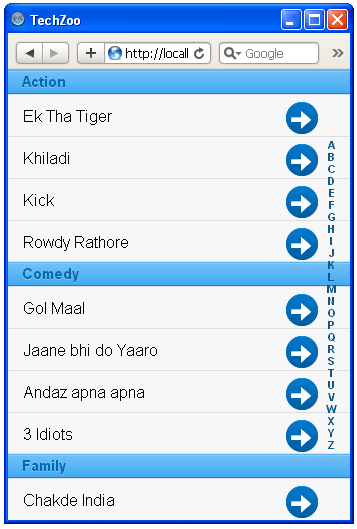 For this tutorial I am going to create a List of movies with other details using Sencha Touch, it’s very basic and easy tutorial and I am sure you will enjoy. 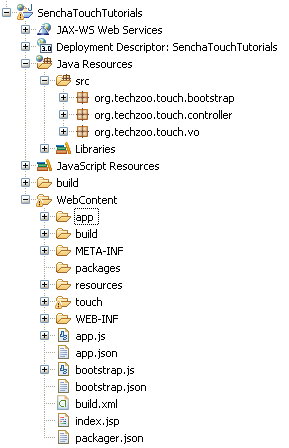 First of all, create an eclipse project; add Spring MVC and Sencha Touch dependencies. Following is a screenshot of my eclipse project. I am using Spring MVC with XML free approach. If you are new to Spring MVC and don’t about XML free configuration, please read my previous post on XML free Spring MVC. Create a simple movie POJO. Now create a class which has multiple movie objects that we need to populate in a List. Now create a controller which will load all the movies from server to list. Now we are done from backend and lts time to create a Touch ListView and Store. Our List also require store. Store use to load data from server/memory by using proxy. Ok, so now we are all set. Publish your project and hit the URL in browser (Safari or Chrome) and you will see following result. 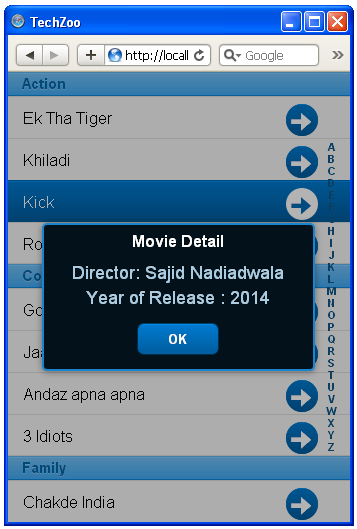 Click on any List Item and you will see a PopUp with movie details as below.